"Homeland" delivered a cliffhanger ending without sacrificing closure in a finale that sets up an intriguing end-run. At the beginning of Season 7, we asked if the world was too crazy for Carrie to save it. In the finale, we got our answer: The world isn’t beyond redemption, but Carrie had to go crazy to save it. The final hour of “Homeland” sees not one but two great women sacrifice themselves for the belief in American democracy. Carrie Mathison (Claire Danes) refuses to read a false statement that would restart the fake news cycle; she’s then denied her medicine and driven mad over seven months in Russian captivity. The last shot of director Lesli Linka Glatter’s beautiful and carefully constructed Episode 12 shows the ever-steady Saul Berenson (Mandy Patinkin) staring into the wild eyes of his captured colleague. She’s been returned home, but she is lost — perhaps permanently. On more solid ground but now without her office is former President Elizabeth Keane (Elizabeth Marvel). The woman who started a witch hunt in the opening episodes cops to her abuses of power right before she resigns the presidency. But that’s not why she leaves. “No single leader can save a democracy, but without a leader you can trust, no democracy can be saved,” Keane says. She sacrifices her rightly won title in the hope the country will “try to find common ground” with a new, respectable leader: Vice President Ralph Warner (Beau Bridges). Keane’s speech is one made, for the most part, direct-to-camera. Linka Glatter keeps her camera floating, cutting between the CNB video feed, reaction shots from her chief-of-staff David Wellington (Linus Roache), and just off-center framings of Marvel staring slightly to the right of camera; this keeps the speech from being too static and too slow (by the thriller series’ standards), but it doesn’t distract from the point: Keane’s address to the nation isn’t isolated to the diegetic world of “Homeland.” What she has to say applies to the real world; one in need of answers as badly as it needs drastic actions. Sometimes the effort — the intention — is more important than the end result. Viewers may contend Carrie’s surrender was lessened by Keane stepping down, but she didn’t give herself up solely to preserve the president. That was almost a side effect; she sacrificed herself for the truth — so the American people could hear it, finally, after suffering through so much misinformation. Carrie went through what she did so Keane could make the choice to leave office, not be forced out. It’s what America was built on: freedom. Carrie understands that better than most, and, in the end, Keane does, too. So where does “Homeland” go from here? 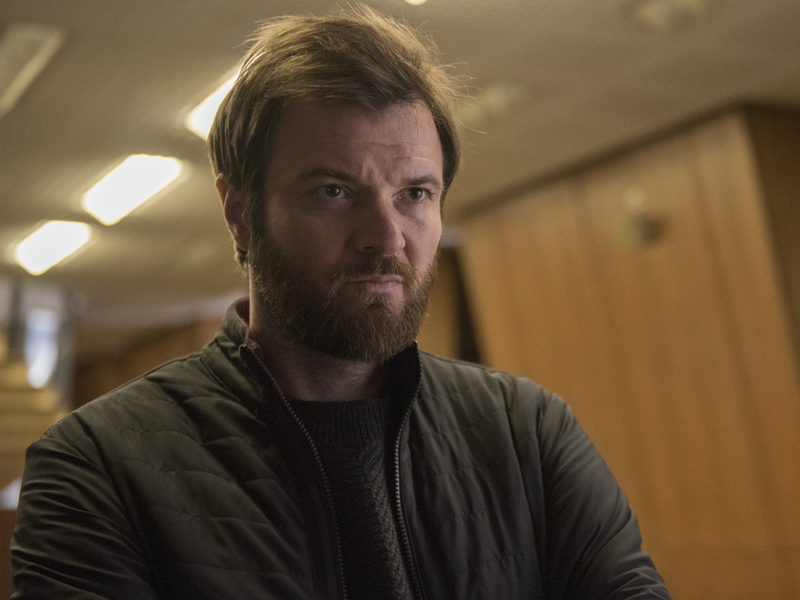 Surely Beau Bridges’ ambiguous new president will factor in, and hopefully, we haven’t seen the last of Costa Ronin as Yevgeny, a well-built villain portrayed with fiery precision (by our favorite ex-KGB agent on “The Americans”). Considering Season 8 is expected to be the final one, the most pertinent question remains the same: Can Carrie do her job without losing her life? That can be taken literally — and must be: For the thriller to function at its best, the audience needs to believe Carrie can die. (It’s why her scaling the side of the building in Episode 11 was so intense.) One could also argue that if she can’t recover mentally, she’s already gone. 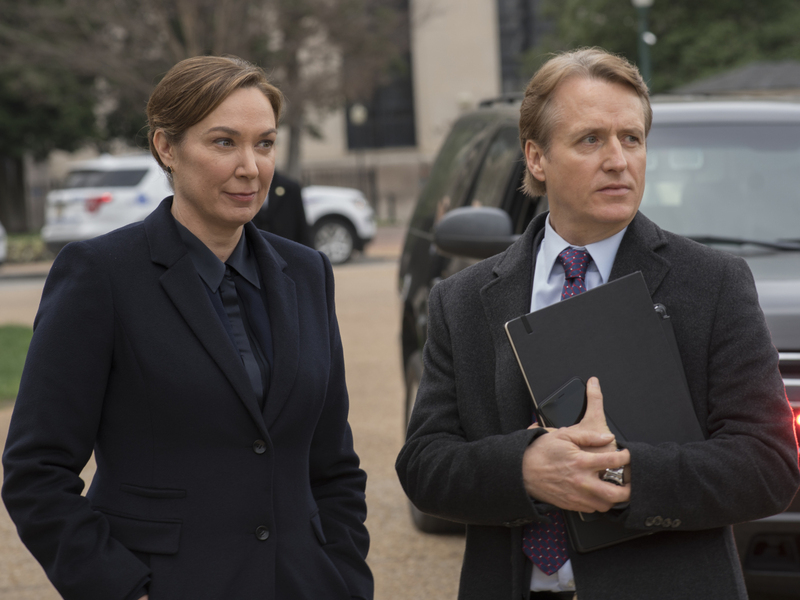 Given the importance placed on her emotional stability throughout the series, it will be as painful as it is fascinating to see showrunner Alex Gansa explore her journey back to health next year. But that basic question contains multitudes. Carrie already gave her daughter Frannie to her sister. She’s lost Brody (Damian Lewis) and Quinn (Rupert Friend). She’s given up her body and now her mind for the job. Is there any way she can continue to do what she’s best at — what she’s “all in” for — without it costing her everything that defines her? To protect her country, Carrie has been driven crazy. What more can she give, and what more can anyone ask of her? In Season 8, that’s what we’ll find out. “Homeland” has been renewed for Season 8 at Showtime. No release timeline has been set.